Like most parents, the thought of testing out a new pushchair excites me far too much, especially one that is claimed to be the World's smallest folding stroller. When I was given the opportunity to test out the new GB Pockit Stroller, I jumped at the chance. As a mum to a very independent toddler, sometimes I loathe taking a pushchair out with us. It's hardly sat in and I have the mammoth task of pushing round a bulky item whilst chasing after a little one, which lets face it, is a tiring task. So to try out a stroller that can I can fold and carry in one hand, or even fit into a bag, seemed too good to be true. Firstly, this little beauty is incredibly light. 9.5lbs in fact! I've known newborns to be heavier than this! I can easily carry this one handed, with a changing bag and toddler too. I was surprised how compact the stroller was, with it easily fitting into the foot well of my car, taking up very little space. It's small size means it is the perfect carry-on when travelling, as it fits into any train or plane overhead locker. You may think with it's lightweight design that it would be quite flimsy, but we found it to be the complete opposite. It is able to hold a child up to 55lbs, with an additional 11lbs in the storage basket below. IT'S AFFORDABLE AS WELL AS STYLISH. Retailing at £149.99, I would consider this a great buy, especially if you travel a lot. It also comes in six stylish colours, which is perfect for showing off a bit of personality. 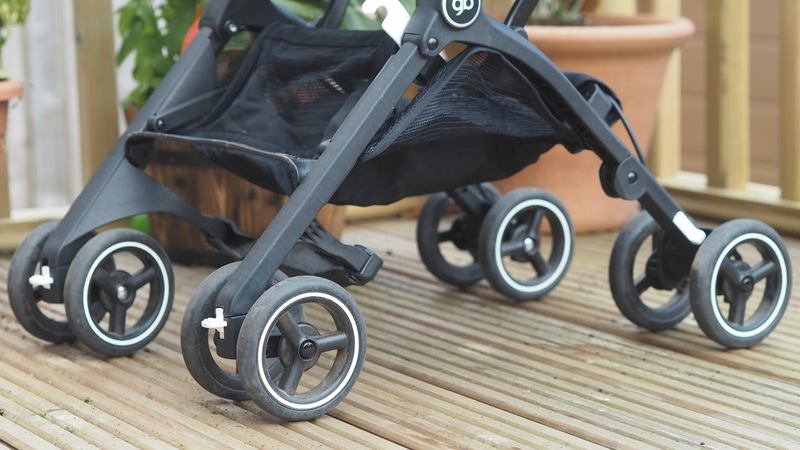 Overall, I would consider the GB Pockit Stroller an essential for any family who enjoys travelling, days out, or is just in need or a light stroller that takes up little space. I could not fault it on any aspect, and would 100% recommend! *I was sent the GB Pockit Stroller for review purposes, but all thoughts and opinions are my own and completely honest.